Everywhere I go there seems to be a Chinatown. I don’t know why I find this odd, but it always seems peculiar to me. This was generally (as everything is in Singapore) a very nice area, if not terribly touristy part of town. I hit very close to Chinese New Year and since there is a large Chinese population IN Singapore, there was color out in full force. These lanterns were one of the first things that caught my eye exiting the subway. 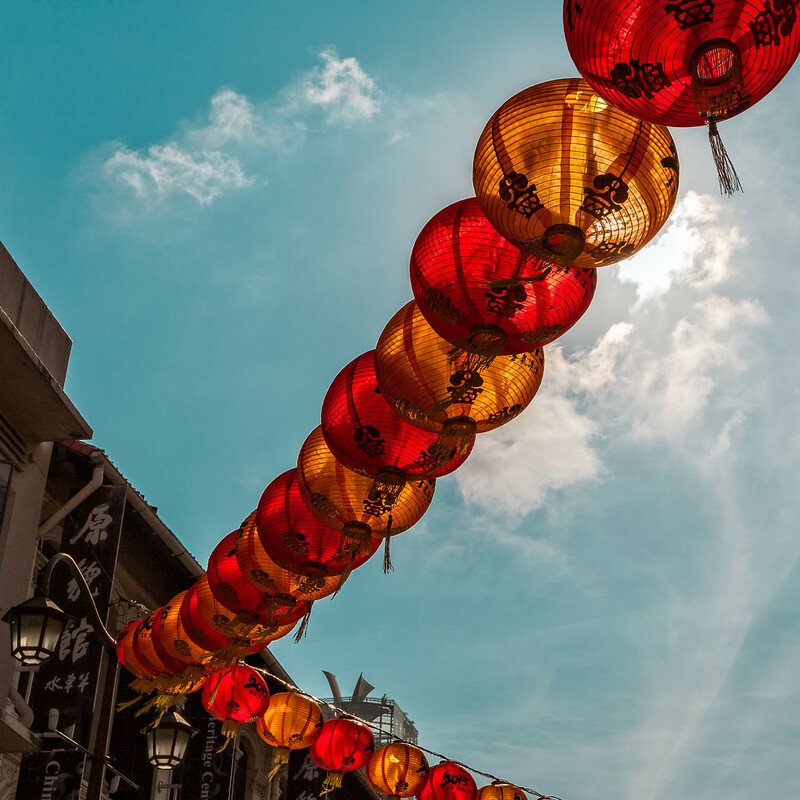 Posted in HDR Photography, Singapore, Travel and tagged Asia, chinese, Lantern, Singapore by Bri Duncan.